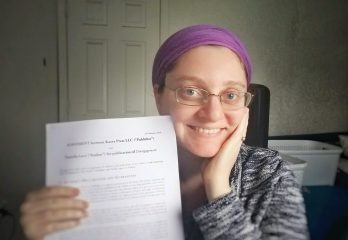 Okay guys, so I have some very exciting, long-in-coming news: my next novel, Disengagement, is scheduled for publication by Kasva Press in November 2019. Nothing makes my day like a signed publishing contract. 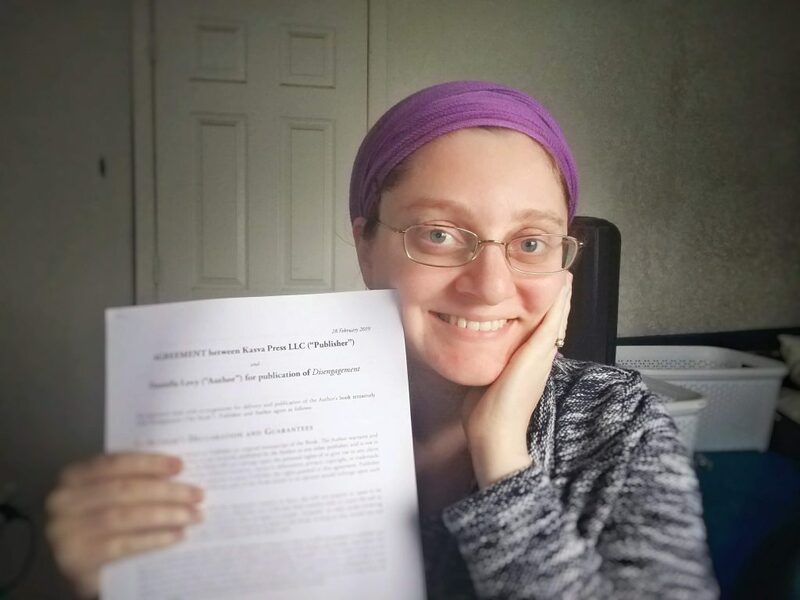 Those of you who have been following my agent-search misadventures on the Rejection Survival Guide will know that I dipped my toes into querying again to see if I could interest a literary agent in this project. As per usual I got close, but not as per usual, I had a fairly attractive alternative: the good folks at Kasva Press were enthusiastic about the project and eager to publish it. Though they’re unlikely to launch my books to the sort of fame and glory a literary agent and major publisher theoretically (but not necessarily) could–I enjoyed working with them very much, and there are some serious perks to working with a small, family-owned, independent press. A major publisher would never give me nearly as much personal attention, input on the process, or control over the final product. So after a relatively light round of querying, I decided to move forward with Kasva. While I will always love and cherish By Light of Hidden Candles, Disengagement is… a different level from a literary standpoint. I can’t wait to share it with you all so you can see what I mean. In the meantime, you can get a sneak peak next month: THEMA Literary Journal will be publishing a version of one of the stories that appears in the book in the New Neighbors issue. I’ll keep you posted on that. By the way, less exciting, but still exciting: arc-26, the latest issue of the literary journal produced by the Israeli Association of Writers in English, was recently published. The theme of the issue is “Love in a Time of Conflict,” and it contains two short, dark-humorous poems by yours truly: Before the Next War and Things I Ignore at my Kid’s Birthday Party. A launch event in Tel Aviv was recently announced–I’m not sure I’ll make it to that one, but I’m told there will be a Jerusalem event as well, and I’ll definitely be at that one! Between all this and the re-release of Letters to Josep in a couple months, 2019 is shaping up to be a productive year! But I believe in doing things that terrify me every so often, and that is why I reached out to Linda Jiménez of Radio Sefarad’s English Corner to ask if she’d be interested in interviewing me for the podcast. To my astonishment, she responded that she is familiar with my writing, since she subscribes to The Forward, and by the way, why am I so anti-Spanish? Now there’s a Jack Sparrow quote I never imagined applying to my life. Anyway, after we sorted that out, Linda said that Letters to Josep looked interesting, so I sent her a copy. She enjoyed it and decided to go ahead with the interview. It went live yesterday, and you can listen to it on Radio Sefarad’s website here. Many thanks to Linda for putting up with me! Oh, and by the way, I’m going to be in Denver next month visiting family, and various Powers that Be are trying to put together some sort of Thing for me while I’m there. Not entirely clear yet what this Thing will be, what it will be about, or when and where it’ll take place. But if you’re in the area and would like to influence that decision, feel free to be in touch! I’ll let you know more details soon. 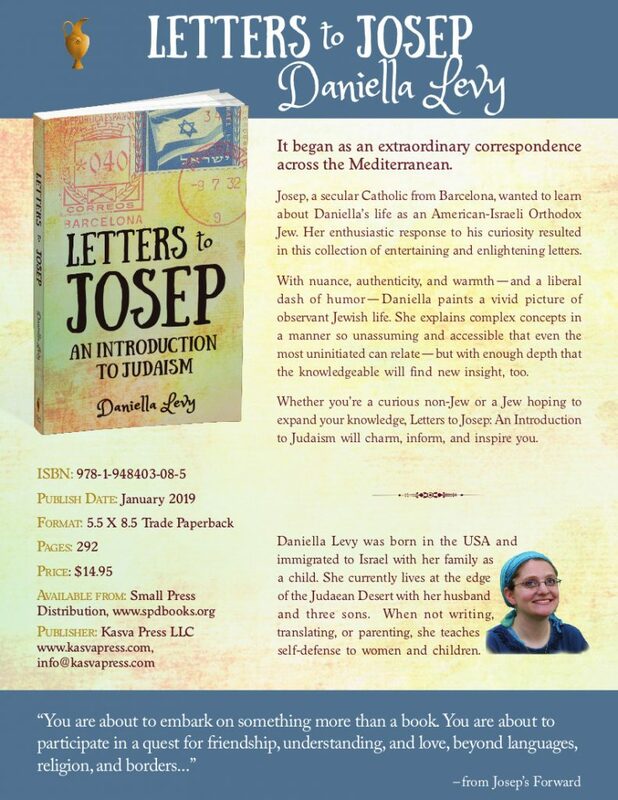 Also, you may recall that I announced a re-release of Letters to Josep in January. The re-release has been postponed due entirely to Don’s fault to some unforeseen delays. We made this decision together because we want to make sure the new edition is as good as it can be and that Kasva Press gives it the full benefit of their added value as a publisher, and we’ll need more time for that. I’ll keep you posted on that as well! 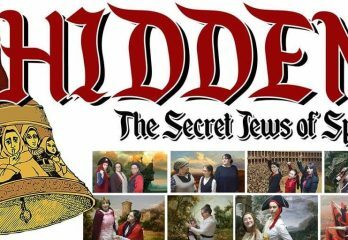 Last Sunday, I had the privilege of attending the premiere performance of a new musical co-written by Avital Macales and Sharon Katz: Hidden: The Secret Jews of Spain. 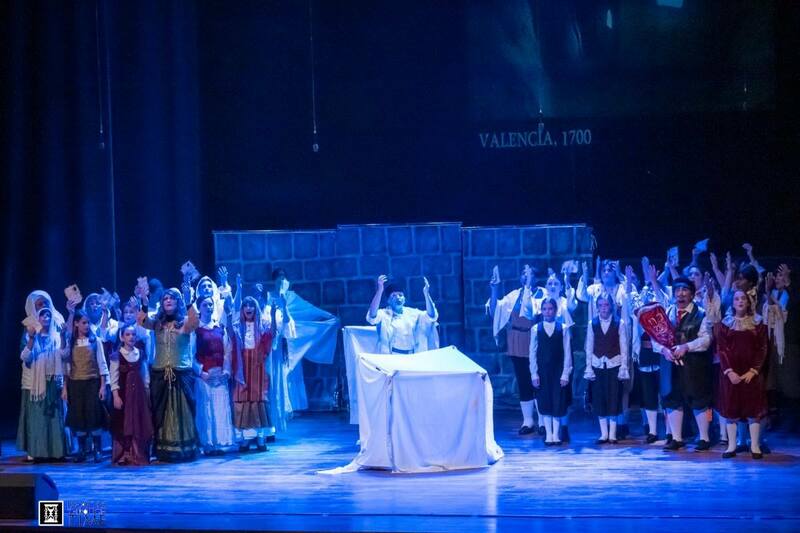 Avital is an old friend of mine, and when she and Sharon first decided to write a musical about Spanish crypto-Jews, she actually asked about the possibility of adapting By Light of Hidden Candles. I regretfully told her that I thought it wouldn’t be a good fit for them, because the romance aspect wouldn’t be suitable for a play performed by and for religious women. I felt the choreography tastefully augmented the visual and emotional components of the scenes that included dancing. The costumes and sets were very impressive for a low-budget community theater production–and the combination of these elements made for some truly visually stunning scenes, such as the auto-da-fé and the bullfight. The acting in productions like these is not always up to my [extremely snobby] standards, but I found the performances of most of the actors playing the main roles fun and convincing (especially, of course, Avital, who starred as Don Diego Aguilar). I am not an easy critic to win over, and I found myself both laughing and moved to tears during the play. There are just a few performances left and they’re selling out, hurry up and click here to purchase tickets! Well, it’s not really news to those who follow my blog Letters to Josep, so if you’re subscribed to both lists, feel free to ignore this! Are we adorable or what?! We spoke about how our unlikely friendship was formed, how knowing each other has changed our perspectives, and how we have learned to overcome some of the obstacles we’ve encountered in our friendship. You can watch a 25-min video of the event here. It was an amazing, amazing opportunity and I hope to be able to do it again someday! Yep! A second Letters to Josep book is in the works! And we’re tentatively looking at releasing it about a year after the re-release of the first one. 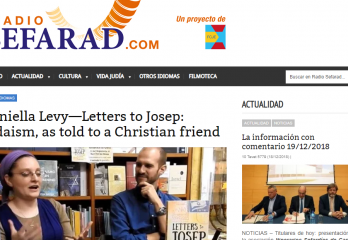 You can read more details on the Letters to Josep post announcing it! Yep! I’m going to Catalonia in 10 days!!! 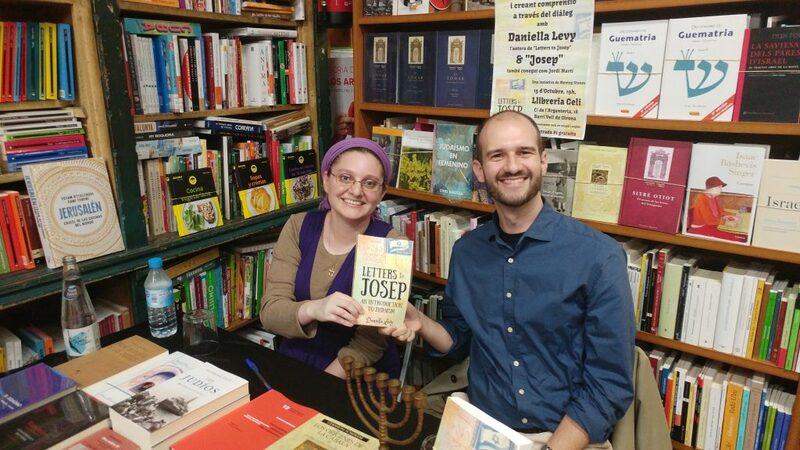 And I’m dragging Josep into the spotlight to deflect some of the attention away from me offering our readers a rare and fascinating opportunity to meet both the sender and the recipient of the letters! 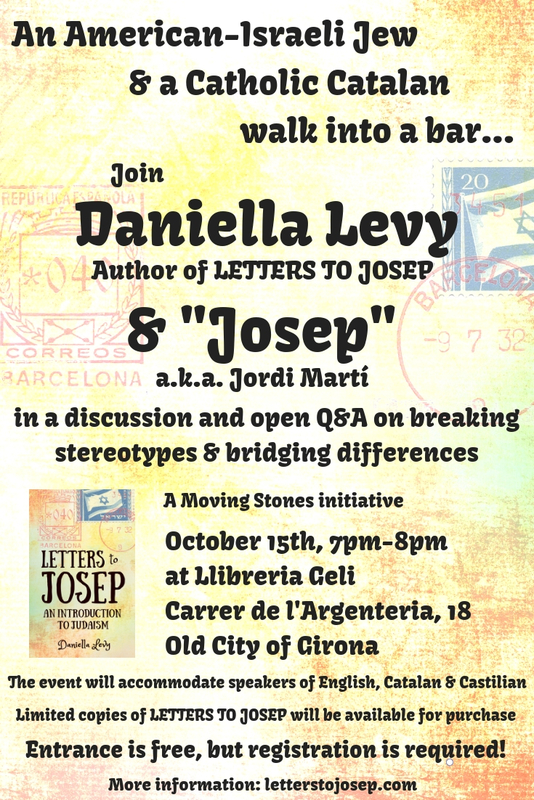 The event will be MC’d by my friend and partner-in-crime Leah Stoch Spokoiny, creator of Moving Stones–an educational project based in Girona that she and I have been working on together for the past couple of years. 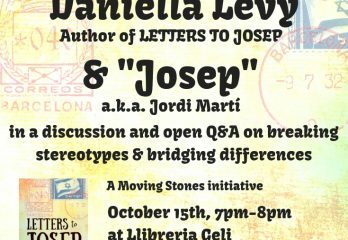 And it will be hosted by the good folks at Pedres de Girona, who coordinate events at Llibreria Geli–a historic bookstore at the edge of the Old City. If you just so happen to be in the area on the 15th–we would love to see you there!!! And if not–don’t worry, I’m doing everything in my power to ensure that this event is extremely well-documented (and possibly broadcast via FB Live)! 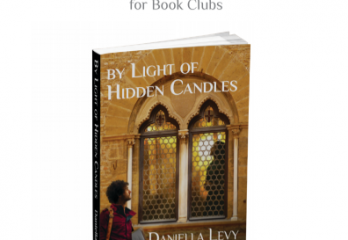 I mentioned recently that my publisher and I were developing a discussion guide for book clubs reading By Light of Hidden Candles. I’m pleased to announce that it is now available! You can view or download the printable PDF here. It contains no spoilers and was developed so even people who haven’t read the book can participate in the discussion. It includes excerpts, discussion questions, and an author interview (and no spoilers! ), and can certainly be used by educators as well as book clubs. In honor of the occasion, I created a new page on my website for book clubs and educators, which includes a brief description of how each of my books can be used in an educational setting as well as a link to the guide, additional resources, and an invitation to contact me about the possibility of speaking (in person or via video chat) to your class, community, or book club. I hope to add more resources in the future. Ficticities is a sort of project by writer John Doyle, which includes reading randomly selected short stories and engaging with them, then inviting the author to join the conversation. That’s my rather clumsy explanation, anyway; you can read more on the website. 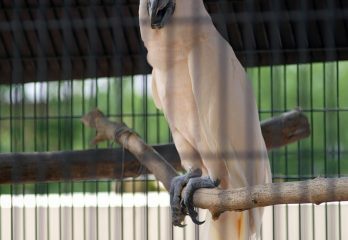 So what happened was that his random number generator led him to the short story I recently had published in Qu Literary Magazine, Cockatoo Tears. Anyway, I guess I pleasantly surprised him. I was delighted that he’d read and engaged with my story on such a deep level. He sat down in the kitchen with Alison and gave her a talking-to! What more could a writer ask? 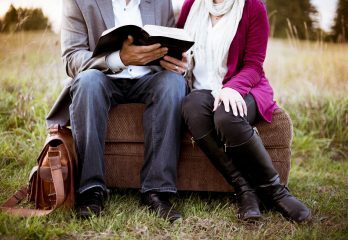 I was deeply grateful to him for allowing me to see how he had read and processed the story, and we had a fascinating discussion in the comments. You can read his piece and our discussion here–and feel free to join the conversation! Is it too early to wish you all a Shana Tova?! Well, I don’t care: may we all have a happy, sweet new year! When I first came up with the concept for my novel, By Light of Hidden Candles, I felt completely overwhelmed. I’d never written historical fiction before, and I was daunted by the task of researching it. So daunted, in fact, that I put away the idea for six years before pulling it out again and finally writing the book. The story flips back and forth between the 21st century and the 15th, and the former, obviously, was much easier to write. But it turned out that even the 21st-century part required no small amount of research. 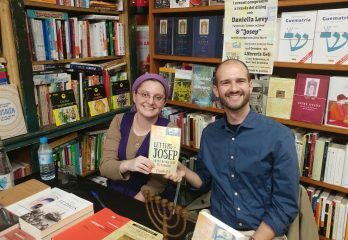 The book is about a pair of college students–one Jewish, one Christian–who travel to Madrid together to research their family histories, and the story they discover that occurred in 15th century Spain. I’ve never studied in that kind of academic setting and I’ve never set foot in a historical archive. I’d never even visited many of the real-life places my characters were visiting–and I didn’t have the budget or the time to travel there. 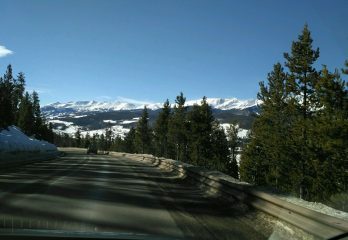 How could I recreate these places in the minds of the readers when I’d never experienced them myself? We need to maintain proper boundaries; that much is clear. But what does that mean exactly? The characters of By Light of Hidden Candles consciously struggle with this question. Alma argues with her grandmother about it. Manuel consults his priest about it. Míriam hesitates–even while her life is in danger–because of it. But was their awareness of it as an issue enough? Did they draw the lines where they should have, and if they had drawn them differently, would there have been a different outcome? I invited readers of By Light of Hidden Candles to share their thoughts in the comments, and I will extend the same invitation here–but no spoilers, please! By the way, this post was picked up by a new Jewish news outlet called The Jewish Examiner, whose editor-in-chief has shown an interest in republishing additional relevant posts from LtJ. You can check it out on their website here. So! I am currently working with the fine folks at Kasva Press on developing a book club discussion guide, to help encourage and facilitate such blessed events! The plan is to make two versions: a standalone version (meaning, you won’t have to have read the book to use it, and it won’t contain any spoilers) that will be available for download on our websites, and a “spoiler” version that will be added to the back of the eBook, may be included in future printings of the print book, and will be available to book clubs upon request. While it’s still in development, though, I wanted to ask those who have already read the book for your suggestions! What are some passages from the book you found yourself thinking about after you had finished reading? What are some topics or themes you discussed with other readers, or would like to discuss with other readers? If you’ve already discussed the book with your book club–what did you talk about? Let me know in the comments or email me! We’re also thinking of launching the discussion guide virtually by hosting an event on Facebook, where questions and excerpts will be posted regularly (kind of like what I did before my FB Live Virtual Launch Party) to get discussions going, culminating in another FB Live session where I summarize the highlights and answer additional questions. So let me know what you think, and stay tuned for more updates! Greetings all! I’m very pleased to announce that my short story, Cockatoo Tears, was published in the Spring 2018 edition of Qu Literary Magazine, a contemporary journal from Queens University of Charlotte. These were the seven words with which my seven-year-old greeted me as she climbed into the minivan in the Pittsburgh Zoo parking lot. I swiveled around in the driver’s seat, trying to get a good look at her face. Her piercing blue eyes stared solemnly back at me from beneath the bill of her puff-painted baseball cap, her blonde pigtail braids hanging ragged by her ears. I opened my mouth to ask what on earth this was about, but the other kids I was carpooling clamored into the car and I knew it was useless to try to talk over their raucous chatter. By the time I’d dropped off the other kids, I’d forgotten her strange comment. As I pulled away from the Rosen’s driveway, I glanced at her in the rearview mirror. She was gazing out the window with her usual glazed look, but I noticed a single tear working its way down her cheek. I inhaled deeply through my nose and released a slow breath, thinking of my mother’s words when she’d handed Alison back to me in the delivery room. She’s got an old soul, this one. I don’t know if I believe in reincarnation, but there was definitely something heavier, older, about Alison. As a baby, she watched her older sister Charlotte running around, her little forehead wrinkled in somber concentration. Sometimes I would watch her as she stared into space and wonder what could possibly be going on in that little head of hers. Her later acquisition of speech didn’t assist me much in answering that question. I glanced back at her again, noting another tear dripping down her cheek. “So… you’re… really upset about this, huh,” I said slowly. She finally turned to look at me in the mirror, and her glare was answer enough. You can read the full story (around 3,500 words) on the Qu website here. One of the classic bits of advice given to writers is to write about our “primal landscape”–our memories from childhood. Interestingly, my tendency has most often been to set my stories far away from where I live, preferring to write about people and experiences rather removed from my own. Cockatoo Tears is the first story I’ve written based strongly on something specific that happened to me in my “primal landscape”–and yet, I still chose to write the story from the perspective of the mother, not of the little girl. I’ll expand on that later. Alison is strongly based on who I was as a child, and her experience at zoo camp, and subsequent obsession with saving the rainforests, are based on a completely true story. I attended camp at the Pittsburgh Zoo in the summer between first and second grade, and the events that Alison’s counselor describes to her mother happened to me and had a similar effect on me. I don’t recall if our cockatoo was Moluccan, nor do I remember his name; but “Rainforest Rap” was an actual video we watched, the cockatoo did make some very mournful sounds while watching, and the counselor did make that key remark about him. There was one line from the video that still echoes in my head: “By the year 2000, they will all disappear.” As I was writing this post, I searched for the video on YouTube… and it turns out, despite the fact that I had only seen this video once, 24 years ago, my memory of that line was 100% accurate. (Though to be fair, they did preface it with “If we keep cutting down like the last 50 years…”) Here’s the video with the lyrics. The main character, however, was based less on own my mother and more on who I am now as an adult. I think the story explores that dissonance between my childhood passion for environmentalism and my adulthood ambivalence toward it–partly fed by guilt and helplessness and overwhelm, and partly by a sense of suspicion I developed over the years that I wasn’t being told the whole truth. I never felt angry or thought, as the teenage Alison accuses, that the adults around me were lying or withholding the truth, nor do I think anyone in the zoo camp scenario did anything wrong. But I do think that the way we present information, in attempt to be persuasive, can sometimes be subtly manipulative, and we need to think about the consequences that might have, especially where very perceptive, impressionable, and sensitive children are concerned. Also, as the mother of some very perceptive, impressionable, and sensitive children myself, Alison’s mother’s sense of bewilderment and being out of her element as she tries to figure out how best to respond to her child’s struggle is all too familiar to me. Anyway. I hope you enjoy the story! There were lots of eggplants and tomatoes. Rice. Chicken. For Maqlooba, no doubt. I tasted that dish at Eucalyptus just outside Jaffa Gate when my parents took us out on their last visit. The menu said it was an authentic Palestinian dish, and they served it to me with an ostentatious wish-making ceremony that involved counting down and banging on the bottom of the pot with a spoon to loosen the contents. 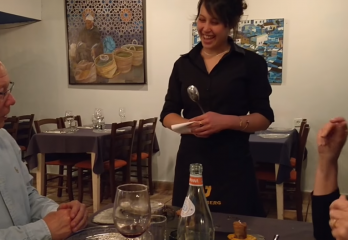 Maqlooba means “upside-down,” the waitress had explained, because of the way it’s served. That might be the only word in Arabic I know. The Eucalyptus is a real upscale restaurant that specializes in authentic Middle Eastern dishes, drawing inspiration from the food described in the Bible and using primarily ingredients that are native to this region. I’ve eaten there with my husband three times, and the second time, I ordered Maqlooba and the waitress indeed performed the ceremony my character describes in that passage. Shout-out to the Riches from NY (and to the waitress) for letting us capture this! It was lovely to meet you 🙂 I’ll also take the opportunity to wholeheartedly recommend the restaurant if you’re ever in Jerusalem and looking for a unique culinary experience; the food is amazing.